Lights, Camera… Action! 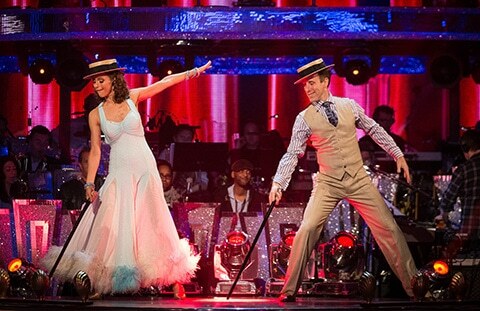 This weekend saw the culmination of ‘Movie Week’ on Strictly, and my word was it a Saturday night showstopper! 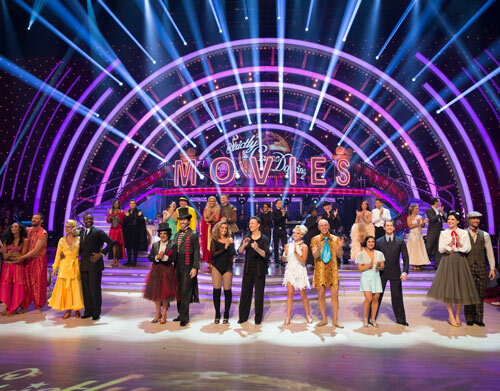 From the overture to the grand finalé, Strictly brought the magic of so many favourite silver-screen blockbusters to the Strictly ballroom in what must be just the most fabulous episode to date! I’m going to raise the curtain on this week’s blog post with the tremendous opening number from Saturday’s show. Just the most wonderful medley and a blockbuster number in its own right – quite the feat of creativity and organisation, so hats off to all those involved! 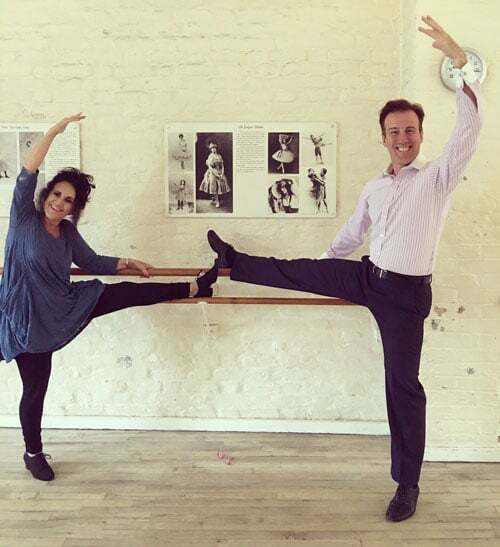 This week, Lesley and I were to feature in our own screen classic… and I don’t mind saying we were both near delerious to learn we’d be channeling Fred Astaire and Judy Garland for that iconic number ‘A Couple Of Swells’. Featuring in the 1948 hit musical film ‘Easter Parade’, this timeless Irving Berlin song would require actions, costumes, characters and make-up, we were in our element! The dance? Our old friend the Quickstep! The stage was, as they say, set! Our routine was based on the original number, a sketch by our characters Don Hughes and Hannah Brown from one of their theatre shows in the movie’s story. It revolves around them working out how they’d travel to meet the Vanderbilts at their Club, somewhere along ‘The Avenue’. Drive, skate, cycle, sail, ride a horse or take a trolley car… they’d end up walking… we, on the other hand, would Quickstep up The Avenue! Lesley learned the steps like a dream, including the Fishtail you may recall Len pointing out on the show, and of course, the comedy skits timed with the phrasing of the music and lyrics all came second nature to her. More than that, the Quickstep needs a level of performance rare in our celebrity partners in these early weeks… it needs velocity to give it that lighter-than-air feel and to achieve the travel across the floor… and that in turn requires confidence. It also needs split-second timing, too, not to mention energy and stamina. Lesley was an all-round marvel, truly, a marvel. Well, as far as I’m concerned, it all worked! Everything came together beautifully and it was one of my favourite ever Strictly performances, and Lesley had an absolute ball too. As for the judges… well, Darcey captured it marvellously: “Such a treat – spirited, fabulously cheeky, the character came alive, and so much dance content all the way through. So many beautiful moments… such a gorgeous surprise, I loved it.” Len said there were lots of references to the film, but also that we “blended it with proper quickstep content, which [he] thought was fantastic,” and complimented us on our Fishtail step. “You’re a golden oldie from the silver screen and I thought you were great.” Bruno said there was plenty of spring, and “loved the role-play and quirky character,” but also spotted a slight mishap in the far corner… but apart from that, “it was wonderful.” Craig said the footwork wasn’t quite compact enough at times, but went on to say that “the energy and characterisation were absolutely brilliant and I hope, darling, that when I’m your age, at 70, that I can whirl around the floor like that.” Marvellous indeed – I thought we were a hit! Plenty of positives, and again, some constructive points we can work on for next time! The scores were in… a six from Craig and sevens from Len, Darcey and Bruno. Total: 27… more than last week, so we’re still on the up! 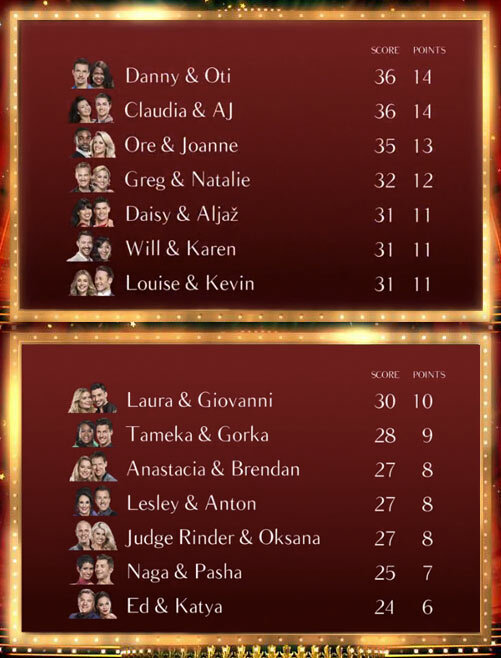 As for the overall leaderboard, we were still perilously close to the bottom: joint tenth alongside Anastacia and Judge Rinder, just inching ahead of Naga and Ed. The Sunday night results show had us on tenterhooks throughout as we awaited the verdict on whether we were through, but it was also another big show as regards group numbers – did you see my directorial debut in the routine at the start? Not to mention my dance with Joanne Clifton to a very moving West Side Story duet by Michael Ball and Alfie Boe. So once again we were saved – hurrah! We couldn’t be more thrilled to have made it through, and bowing out this week would really have rained on our Parade! Sadly, of course, two couples had to dance again to stay in: this week it was Tameka & Gorka, and Laura & Giovanni – a result none of us had expected. After valiant performances by our couples, the judges were divided in their opinion, but ultimately it was Tameka & Gorka to whom we bade farewell. Such a shame, Tameka as I’m sure you’ll agree was particularly entertaining! But as Len said, it’s the nature of the show. On those parting words, I’ll sign off myself… We’ve a very busy week ahead with Lesley filming ‘Birds Of A Feather’ in Malta – our training will be hotting up, that’s for sure! Follow me on Twitter and Facebook for news of when we’ll be on #ItTakesTwo this week, and of course, tune in next Saturday to see our next performance! Well my loves, we’re off to a flying start, I’d say! Didn’t Lesley dance well? I was thrilled to bits on Saturday night – a complicated, fast-paced routine… with props too… and our scores are on the up – tremendous! Whilst it’s always a challenge going from one week to the next for our celebrities in Strictly, having been immersed in the character, technique, genre and tempo of one dance performance to then put it all behind and start afresh, I’m particularly pleased with how Lesley’s taking to all this. 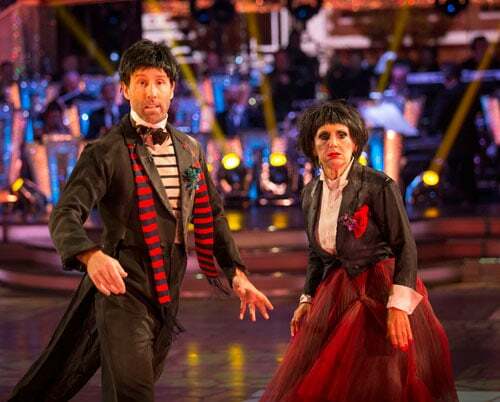 To go from an inaugural Waltz to a week 2 Cha Cha Cha is no mean feat… but she’s taking it in her stride! Our routine was set in a fine Parisien restaurant where our characters played out a matter of high class customer service: Lesley, intent on Champagne and asserting her territory across the dancefloor; I her humble waiter, at her beck and call! After a quick change of tables, and a dramatic rebuff or two, the floor was ours. ‘Perhaps Perhaps Perhaps’ was our song for the night, with Dave Arch’s Latin arrangement providing the perfect Cuban ambience and rhythm for our routine. Sass was essential and Lesley had it in spades. Remarkable hip action, demonstrative hands and armography (finding their way to my behind at one point, as Craig later lamented! )… and those legs… heavens above they worked hard! All to a fast-paced driving rhythm where precision and time-keeping were key… as well as continuing to keep in character all the while! I’m sure you could see on both our faces that we’d thoroughly enjoyed the dance, and we so very much hoped the judges had, too. Darcey kicked off by saying all the right things… firstly complementing Lesley on how ‘absolutely amazing’ she looked, but going on to say “You’re sleek you’re cheeky, you’re flirty, you’re fun!… I loved it!” She mentioned balance issues arising from her free arm, and that’s something we can of course work on. Len said it was full of fizz and that it was a “proper Cha Cha Cha, lots of content… I thought it was terrific, well done!” Bruno said “the champagne had kicked in and Dorien Green is back – the original and best cougar… plenty of action in those legs; the legs were excellent!” Craig said he “wasn’t expecting that,” and that Lesley showed no sign of inhibition… but what really hit home was that he finished by saying “I could actually watch it again.” I don’t think any of us heard him correctly the first time, but my goodness me, there’s a compliment if ever there was one! All that aside, the scores were relayed as follows: sevens from Len and Darcey, and sixes from Bruno and Craig. Total: 26. A much-deserved increase over last week, so progress indeed. For this series’ first elimination, it was Melvin & Janette and Anastacia & Brendan in line for the dance-off. Very unfortunately, things took an unprecedented turn as Anastacia was unable to dance again due to an injury sustained during rehearsals, exacerbated during the main performance. It’s no secret that Anastacia has beaten cancer a number of times and I’m sure we can all agree that her participation on the show is an inspiration to us all. 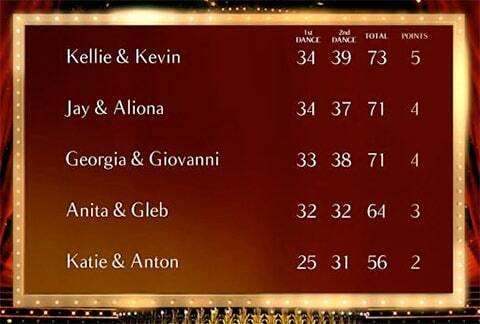 And so, in accordance with the official Strictly Rules, the decision reverted to the overall tally of votes. The result: first to exit this year was our newly resident DJ, Melvin Odoom and his partner, the lovely Janette Manrara. I’m sure the only time I didn’t see him with a grin on his face was during his Tango, and with two fabulously entertaining performances under his belt, I do hope he keeeeeeps dancing! This coming weekend is Movie Week. Lesley’s thrilled to be dancing to a ‘theme’. We’ll be a Couple of Swells… I can’t wait to see her face when she sees herself all made up and in costume! Tune in tonight at 6:30pm to see us on It Takes Two… and of course on Saturday for the main show at 6:45pm. I can’t wait!! And we’re off! After our initial 3 week training period, Lesley and I took to the dancefloor last weekend for our very first performance in the competition: no turning back now… Lesley’s Strictly journey has well and truly begun! For our dancefloor debut as a competing couple, Lesley and I were given the Waltz. Nice and leisurely, you might think… an easy introduction perhaps… You’d be forgiven for thinking that gentle flowing triple-time rhythm would carry one along effortlessly… Well, let me tell you, that elegant top line and posture is underpinned by lots going on at ground level: precision footwork, turns, as well as the crucial rise and fall. With a slow dance, everything is on show… and with Len’s Lens and the eagle-eyed judges, there’s nowhere to hide! Our music gave some comfort from the outset – ‘What’ll I do’ – which of course was the theme tune to ‘Birds Of A Feather’. This was a great help really, as Lesley was already familiar with the phrasing and dynamics of the piece. And knowing ‘what comes next’ in the music is a great help when memorising steps. As training began I was quickly flabbergasted not only by her enthusiasm, dedication, professionalism, perfectionism and speed of learning (all marvellous traits)… but also her energy too! Now, there’s been much chatter about Lesley’s age with respect to that of the other competitors, and I being a gentleman of course shan’t refer to it beyond stating: my goodness – she’d give someone half her age a run for their money! I’m quietly confident as to her Strictly potential. Can you tell? Then, all of a sudden, the weekend was upon us. We’d been scheduled to dance in the first of the two shows, airing late on the Friday night, so very quickly everything stepped up several gears. It’s at this point the celebrities are taken from the training rooms to the actual ballroom… with costumes, cameras, dress rehearsals… everything timed to the nines with an orchestrated schedule that leaves no margin for error. The pressure’s certainly on. Lesley handled it with aplomb. Before we knew it we were live to the nation. Strike up the band! The show got off to a flying start – we were fourth in the running order, and had already been keenly making mental notes about the other competitors as they performed before us one-by-one. Then our names were called! We took our positions, the studio dimmed into monochrome as Lesley got into character for our performance and that familiar lilting refrain drifted across from Dave Arch’s band. Lesley held aloft a framed photo of a lost love, deep in reverie, and I emerged from the shadows to take her in my arms and restore her world to technicolor for the fleeting two minutes of our waltz. I thought it was glorious. This was no straightforward routine: I’d included a lot of content, and I’m sure Lesley scarcely put a foot wrong. Such a delicate, tender tune, perfect for the lightest of steps across the dance floor – and my word, was Lesley light on her feet. 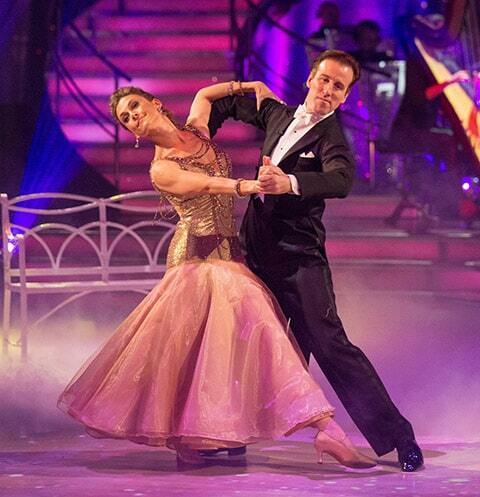 As far as first week dances go, this was top class and I couldn’t be happier with her performance. Now, admittedly, there’s a slight height difference between us, something which requires some negotiation and I’d proffer that this, combined with first night nerves, likely accounted for the posture issues the judges rightly raised. That aside, they gave very favourable reviews indeed, much to our great relief! All in all, I’d say that was a resounding start! The scores were in… with sixes each from Len, Darcey and Bruno, and a five from Craig, giving us a total of 23. Although this did place us joint bottom on the Friday night leaderboard, it’s still a very respectable first week, first dance score, and with very positive comments to build on, too. With just six couples dancing on the Friday night show, the remaining 9 performed on Saturday night. Another spectacular show, start to finish, top notch entertainment and fine performances from the rest of our celebrities. As expected, a range of abilities was demonstrated across the board with some standout performances. 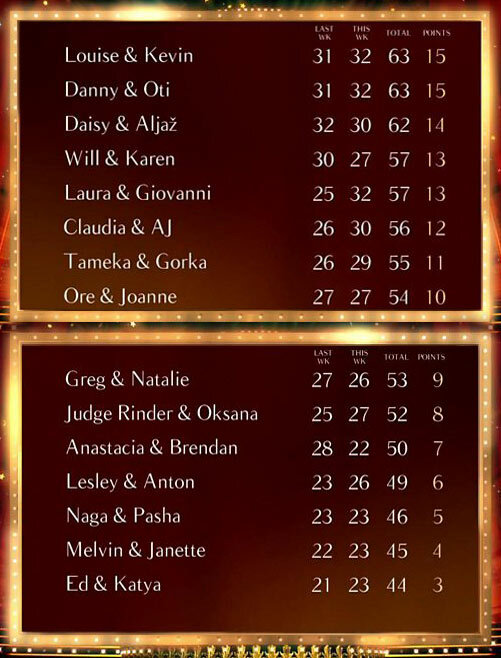 As the overall leaderboard was revealed, it turned out that we’d gone up in the pecking order, finishing joint 12th with Naga & Pasha, ahead of Melvin & Janette, and Ed & Katya, and with Daisy & Aljaz ruling the roost up at the top with 32 points. Everyone was very relieved not to be facing a dance-off situation this week – the scores are to be combined with next weekend’s to determine who’s at risk of being first to leave the show. Phew! And with the debut dance under their belts, the celebrities now have a clearer idea of how the show works and what to expect each week – this can make a real difference in combatting nerves and in helping them deliver that perfect performance. And so, it’s back to training for me and Lesley. A busy week ahead with lots of ground to cover. With Lesley’s marvellous attitude, and her remarkable abilities, I’m very excited at the opportunities each new dance will bring. Onwards and upwards… and here’s to this weekend! Tune in on Wednesday evening, 6:30pm to see us on It Takes Two, and of course this Saturday at 6:20pm to see us, and all the other couples, dancing to stay in the competition! Strictly Series 14… ‘Activate Anton’! 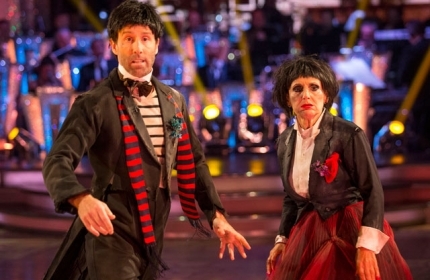 Strictly 2016 has well and truly rocketed back onto our screens! The fourteenth series to date… count ‘em! Each year the show gets bigger and better without fail, and this year already promises to be no exception. I’ve been lucky enough to dance in every single series so far, so I must say a huge thank you to the BBC for including me once again in this year’s competition. Excited?… My goodness, there’s an understatement! Just over three weeks ago we all saw the truly remarkable launch episode – an interstellar affair, that’s for sure, with rocket ships and starship commanders and intergalactic costumes and Claud and Tess bringing us all down to earth safely at Elstree to a red carpet reception and a throng of cheering fans! Tremendous! 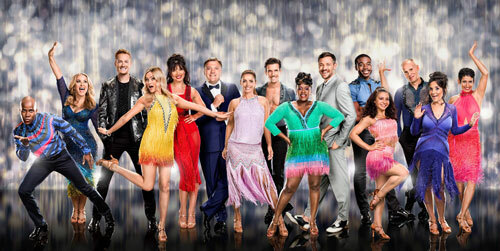 Not to mention the fabulous group dance number… What an opening spectacle, and a reminder to us all what we’ve been missing on our TVs all year… Strictly Come Dancing is back! Here’s the opening sequence again… I still laugh every time I see the ‘Activate Anton’ part! The launch show also revealed the full line-up of this series’ 15 celebrities. The BBC have once again done us proud with what could prove to be the strongest line-up yet! Pop stars, olympians, presenters, actors as well as a judge and a former MP – such a gamut of talent… but who will prove themselves as dancers? That of course remains to be seen, but like you, I’m very excited to see how everybody fares as they take to the floor each week. I should also give a note of welcome to our new pro dancers too – all stars in their own right from their respective backgrounds, every one worthy of a place in our Strictly family. I’m sure we’ll all enjoy getting to know them as the series progresses. 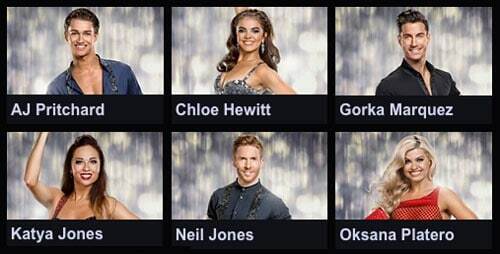 So, AJ, Chloe, Gorka, Katya, Neil and Oksana – welcome one and all! Now, down to business: the pairings. What did you all think? If you ask me, I think they’re all spot on, and you could tell that everyone was genuinely pleased when the names were called out. No one more so than I, when the simply wonderful Lesley Joseph leapt into my arms! What a gal! Taken to the nation’s heart for her role as voracious man-eater Dorien Green in the BBC hit show ‘Birds Of A Feather’, Lesley has been a performer all her life – first treading the boards at age 7. That’s very important to me as her dance coach – performance qualities are a very big tick in the box. “Merry Christmas, me,” I said on the show… and with jolly good reason! Lesley is very much at home with the glitter, sequins, hair and makeup – she’s a natural! As to whether she’s a natural dancer?… The coming weeks will tell! 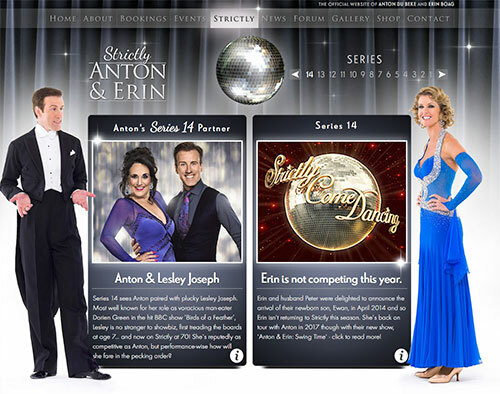 Do follow our dances each week over on my dance card at AntonAndErin.com (you can look back through all my dances in previous series too – as well as Erin’s – it’s quite the compendium!). …And you can follow me on Twitter, Facebook and Instagram, as well as Lesley’s progress on Twitter, Facebook and Instagram too – it seems there’s no escaping us with all this technology these days! …That said, we’ll be very appreciative of your support each week so tweet and share as much as you can! 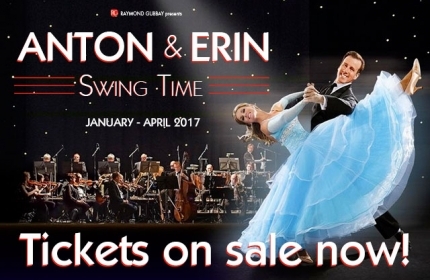 Swing Time – our 2017 Tour! Hello again, my loves! 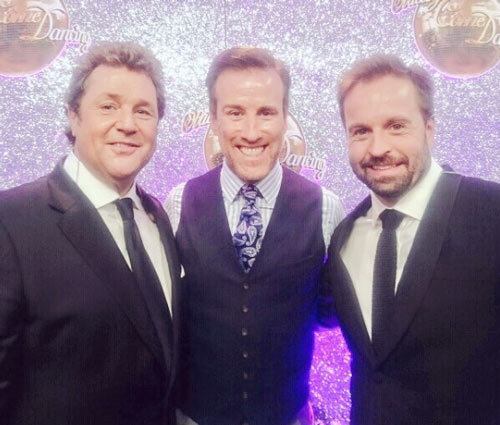 It’s been a while since my last blog post but since Strictly season is about to take hold, it’s going to get busy again on here… you’d best keep a close watch! But before I step out onto the dancefloor tomorrow evening (tune in at 9pm, BBC1) I’d like to post a short piece on the upcoming 2017 Tour with my professional dance partner, the most wonderful Erin Boag. 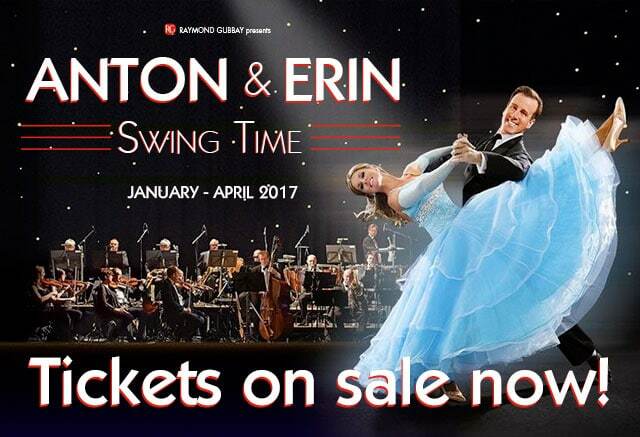 We’re very excited to be back on the stage again touring the nation in a brand new production entitled “Swing Time”, and it’s going to be our best yet! 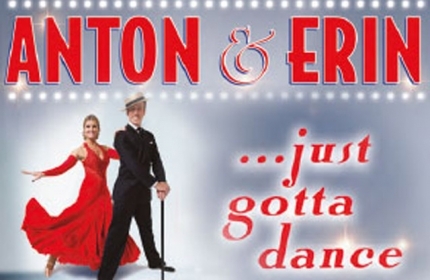 Such classic tunes too: “I Could Have Danced All Night”, “I Got Rhythm”, “Guys And Dolls”, “Strike Up The Band”, “Moondance”… Erin and I can hardly wait to start rehearsals. With Richard Balcombe leading the London Concert Orchestra, Lance Ellington adding his dulcet vocals, plus our marvellous ensemble dancers… the stage will be well and truly set! It runs from the 26th January to the 2nd April 2017 – 39 performances in all. There’s a Tour Flyer you can download from here… and full details of dates, venues and how to book can be found over at Raymond Gubbay’s website. Tickets are on sale now – click through for full details! Have you got your tickets yet? 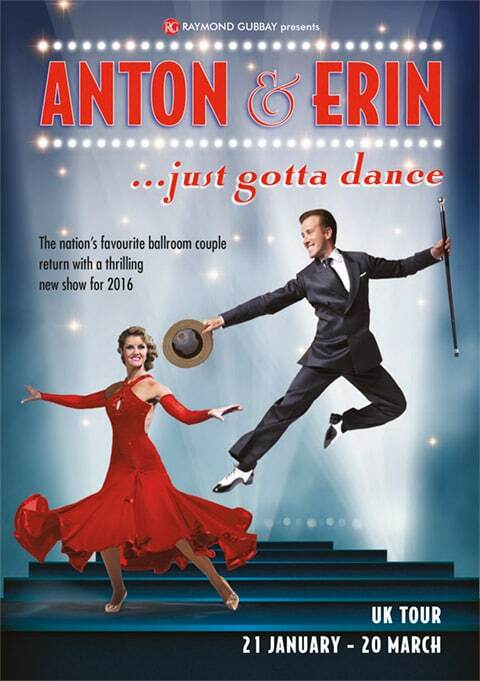 Hot on the heels of Strictly 2015, I’m back on Tour with my wonderful professional partner, the delectable Erin Boag, for “Just Gotta Dance”! We’re flat out (though thankfully not literally!) in rehearsals at the moment and between you and me, it’s going to be a tremendous show! Erin and I can’t wait! We’re thrilled to be featuring star vocalist Lance Ellington, six world class ensemble dancers, plus Richard Balcombe leading the London Concert Orchestra. The tour starts next week, running nationwide from 21st January to 20th March 2016 and you can find all dates and venues, plus links to book your tickets online, at Raymond Gubbay’s website. So excited to see you in the audience! Week 13 – The Grand Final! Merry Christmas, my loves! I hope you’re having a tremendous festive break wherever you are and whatever you’re doing. I wanted to do a final check-in before the end of the year to recap the Grand Final, to thank you all for your support over this series, and to wish you all well this holiday season! What an adventure the past few months have been! 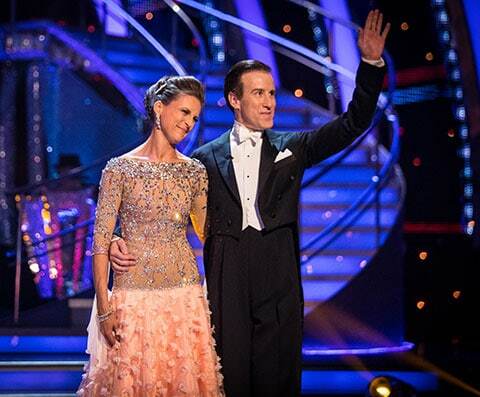 Strictly 2015 is now over, I made it to the Grand Final with my wonderful partner Katie Derham, we had an absolutely incredible journey week-on-week, and I’m delighted to say a very worthy winner won! What’s most important to Katie and me is the endless support the voting public has given us throughout our thirteen week journey. We are both fully aware that without votes from our fans, we wouldn’t have made it half as far, so a huge Thank You one and all! 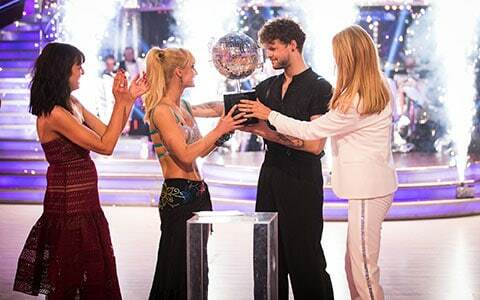 That we made it to the final is such a achievement for me personally after all these years in the Strictly competition, and as mentioned in my last post, it’s really been a grand team effort between Katie and her full-on determination and enthusiasm for each dance, and your support in appreciating our efforts. Everything clicked this series, in first rate style! But what a Final… what Finalists! Each couple had to prepare three dances for the night: one selected by the Judges as one they’d like to see again from earlier in the series to show how building confidence and experience has helped to iron out mistakes and improve the performance; then our freestyle Showdance – an anything goes affair… and then after the first elimination, a dance of our own choice. 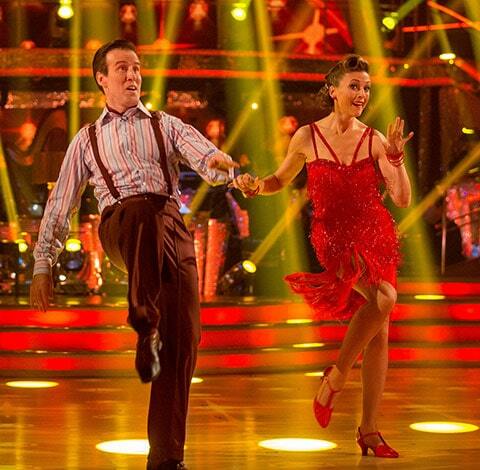 Our Judges’ pick was the Quickstep to ’42nd Street’ from week seven where we scored 26 points. Katie had come a long way since then and we were keen to show this progression. Hats off to her (literally, see below!) for accompanying me on a whistle-stop tour of the ballroom. Speed, accuracy, footwork, performance level (particularly where props are thrown into the mix) were all greatly improved and I felt she delivered a seriously good dance. Flair and panache in spades, I say. We had huge grins on our faces as the music ended, and the audience appeared to enjoy it too. As for the judges?… Let’s not forget, marks at this level are docked for mistakes where the expectation is perfection, so they were right to point out a slip here and there. But Darcey said we did a ‘great job,’ Len said he loved her posture and upper body when she danced, Bruno reprised his car analogies complementing her upholstery and suspension of all things (! ), and referenced a few bumps in the road but that they were covered up well. Lastly, Craig flagged a few things but did at least say it was a ‘major improvement on the last time’ – and that was simply wonderful to hear. Going last in the running order whilst inflicting an agonising wait does at least let you know where you stand when the scores are in. Darcey, Len and Bruno each gave us an 8 for which we were very pleased indeed, and Craig gave us a 7, so our total for the first dance was 31. This placed us squarely bottom of the leaderboard. Not the best place to be, granted, but all was not lost with another dance to come. And then it was time for the Show Dances. This had been a very long wait… a thirteen series wait! The rules… there are no rules! Anything goes! We had just the best piece of music for the job at hand – Carl Orff’s ‘O Fortuna’… such drama, such intensity… the perfect complement to a what had to be a showstopping routine. Transporting us to ancient Rome, the BBC had recreated a scene from the Coliseum, and were ready to make history… a minute and a half of it! Our routine packed it all in – tango-inspired, it was choreographed to thrill, particularly with the most death-defying lifts and drops – such utter bravery from Katie as she fell backwards into my arms from standing at the end of the routine… what a gal! Epic, indeed! I thoroughly, thoroughly enjoyed it and we both knew that we’d given it our all, without doubt. The crowd roared and rose to their feet! The Judges overall were positive, but sharp-eyed as ever. They referenced the responsibilities of working with such a huge classic piece of music, but that we carried the story beautifully and gave it a good go. It didn’t particularly work for Craig, worse luck, but to his credit, he rounded up his comments saying that Katie could rest in the fact that she’d done herself proud and given 100% to drive the dance home. Fair play, and I was so pleased to hear Katie’s hard work being acknowledged. With some trepidation we made our way to the Clauditorium to receive our scores. Consistency appeared to be our new theme… a seven from Craig and three eights from Darcey, Len and Bruno giving us another 31. Consistent too, in the fact we remained at the bottom of the leaderboard. All couples were then on tenterhooks for the next hour whilst we waited for all your votes to come in and be counted and verified. It felt like the longest time! Then all of a sudden we were back on the dance floor, under the spotlights once again, and about to learn who would be the first couple out. After a reprise of all the dances on the VT, and seeing how incredibly and impeccably the other couples had performed… particularly with all the 10s that were scored, it came as no real surprise when Tess announced our names. We were out… but let’s not be downhearted about this… we reached the Final… and finished in 4th place overall… A tremendous result, truly!! Katie gave the most lovely summary of her time on the show and it really brought home what a wonderful journey we’d had, and in the broader view, simply how much enjoyment dancing can bring! What followed were the most wonderful three performances by three superb couples. 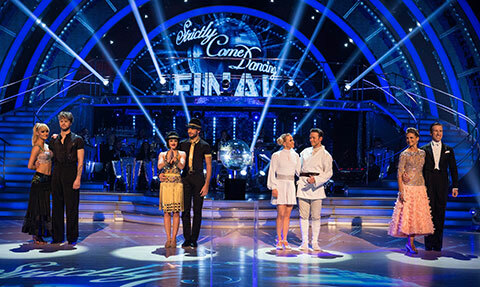 Jay & Aliona’s Paso, Giorgia & Giovanni’s Charleston, and Kellie & Kevin’s Charleston. Pure joy to watch – technically perfect, performance level through the roof, and these were quite clearly the right couples to have made it through to the very end. 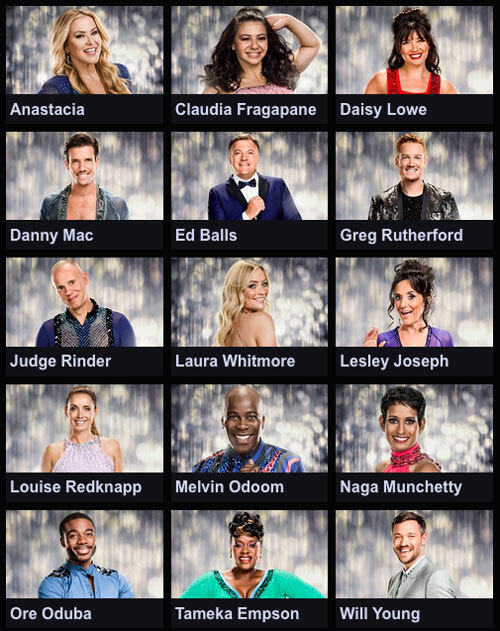 Any one of them could have won and I wouldn’t be surprised if there was a hair’s breadth between the final tally of viewer votes – I’m sure the Judges were relieved it wasn’t their decision to make! And so, our three couples took their places in the final line-up, the studio lights dimmed, spotlights focused in, and the results music started to play. You could have heard a pin drop! Roars and applause erupted from the entire studio audience, and no doubt millions of viewers at home too! Worthy winners indeed, and I’m so very thrilled for them both! Not least Aliona – this being the second time she’s won! Huge congratulations for a very well deserved victory! 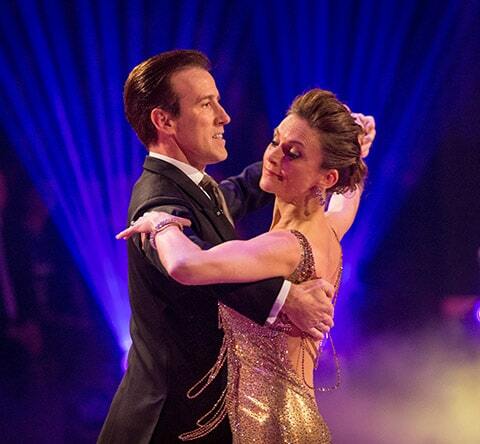 And so my loves, that brings us to the end of my running commentary on Strictly 2015 for me and my wonderful partner, Katie Derham. We both want to thank you all so very, very much for your support and votes along the way – to have made it through, week after week (and in some cases against the odds!) is purely down to our fans and for that we are extremely grateful and we hope that we continued to entertain right until the very end! A huge round of applause to you all! I’ll sign off now, but wanted to wish you all the most loveliest of festive breaks, and to send you all my very best wishes for the New Year to come. Week 12 – The Semi Finals! What a weekend! What an unprecedented weekend! I do believe I’m still getting used to the notion of being a Finalist… hang about, let me say that again… ‘Being a Finalist!’… that’s better… but let me tell, you the rigours of this past week’s training leave me in no doubt that Katie and I are giving absolutely all we have to make our last Strictly dances real showstoppers. But first, last weekend: the Semi Final was a weekend of lows and highs, there’s no mistaking. With two new dances to perform it had been a particularly full-on week, but exhilaration won over exhaustion, hands down – this is a ride none of us want to get off! 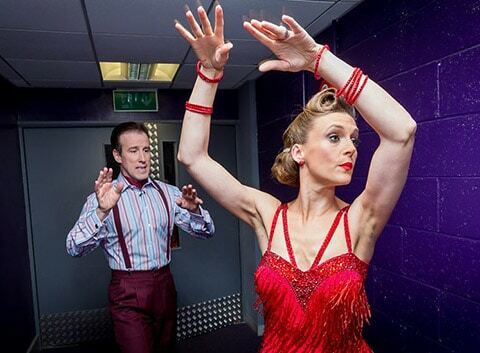 …and then as time marched on, it was a quick costume change back into our Charleston get-ups and a few last minute moves before we took to the floor and opened the show with the first of our two dances for the night. …Katie’s dress did that for me for a start! Magnificent… tassles aplenty! Perfect for her figure… and of course for the character of the dance. No doubt the costume department included braces with my outfit to prevent any wardrobe malfunctions what with all the leg action involved! Our dance was fast and frenetic – perhaps the fastest tempo of all our dances so far, and was set to ‘Too Darn Hot’ from that classic musical ‘Kiss Me, Kate’. Very apt song choice once again… boy was it a workout! We went for it, and Katie danced up a storm. With the Charleston, not only is there so much content to learn, but the timing aspect is particularly crucial here: the dance contains lots of side-by-side sections which not only require the moves being perfected, but the two dancers must be in sync too. On top of that, there’s all the characterisations and doing one’s best to present real personality, and indeed comedy, in the performance. There’s a lot to concentrate on, without looking at all like you’re concentrating! No mean feat. 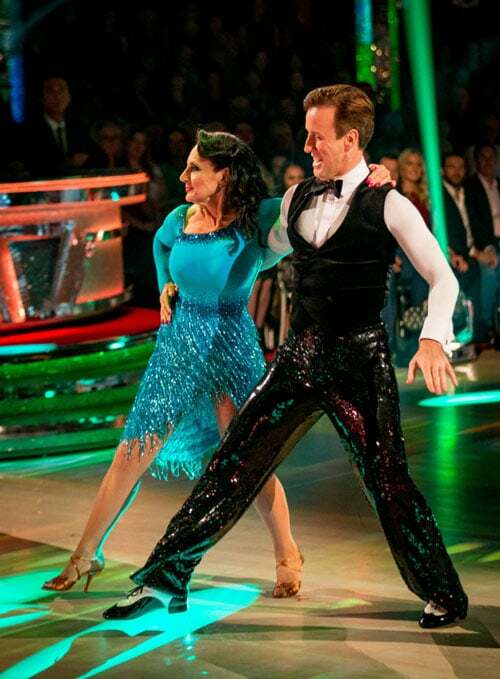 I thought Katie delivered a tremendous Charleston, one she should be proud of – not to mention taking some dare-devil lifts and drops in her stride – and both of us had an absolute ball dancing it. The Judges, let’s be frank, didn’t share our exuberance. Len said “The song was hot, you looked hot, the dance was not.” Ouch! He went on to say, “It was a struggle, not slick enough,” and that we were outside our comfort zone; he said it wasn’t our best moment. Bruno used the phrase ‘Loosey Goosey’ and demonstrated with his arms; it seems this wasn’t a positive comment! Craig held nothing back, saying “The swivel was non-existent, awkward, too placed, stiff-looking at times… kicks out of time. Had better hope your next dance is perfect.” But at least Darcey brought some positivity by saying “It was absolutely charming,” though went on to say that the energy faded and we got out of sync. Well, that hadn’t gone to plan! The scores kicked off with a 4 from Craig (yes, there were gasps all round) and sevens from Darcey, Len and Bruno for a total 25. And after the other four competing couples had danced, we’d landed at the bottom of the leaderboard with a resounding wallop. I said to Katie to forget the first dance and focus on the next – we had a Waltz and it was set to the beautiful aria ‘O Mio Babbino Caro’ from Puccini’s ‘Gianni Schicchi’ – a timeless classic, and all the right ingredients for a performance surely capable of keeping us in the running. …And we so very nearly nailed it!… Katie was a dream partner for this dance – her frame, her lines and shaping, her musicality, and the simply delightful way she moved around the floor with such a degree of ease and sophistication made this a very special dance for me. I must also mention the incredible job Hayley did of performing this soaring aria. Like I said – it had all the ingredients to make magic. Admittedly, there were a couple of slight departures from the choreography to keep us all on our toes, and, this being the semi final of course, were what the Judges homed straight in on. All respect to Len for the honest feedback, of course… feedback, as it transpires, that would stand us in good stead. Somewhat crestfallen, we headed up to the Clauditorium with less than a spring in our step. The scores were good, in fairness: sevens from Len and Bruno, an eight from Craig, and a very gratefully received nine from Darcey. Total: 31. Position: bottom of the leaderboard! We knew the dance-off would be an inevitability – the standard of all the couples being so tremendously high, particularly this series – so it came as no surprise when we were plunged into the dreaded red light in the Results Show. We were pitched head-to-head against the incredible Anita & Gleb who chose to reprise their Salsa. We were prepared for this… we’d had opportunity to steel our nerves and focus on delivering a faultless performance. 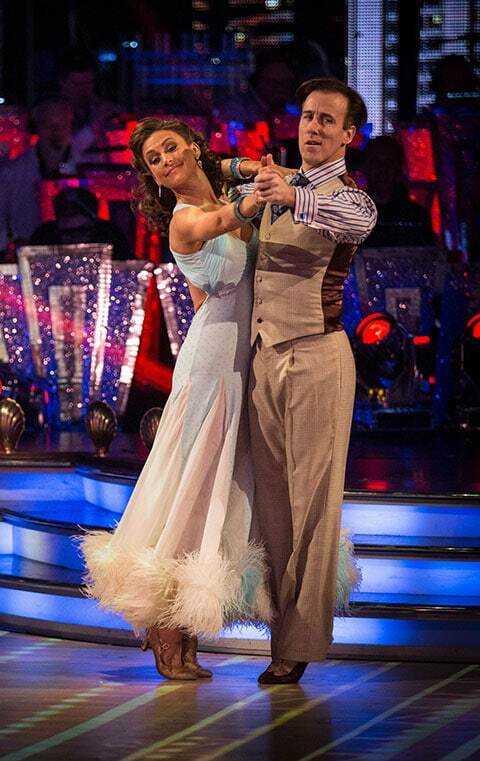 We elected to Waltz for our place in the Final, we knew we could do it justice. But would it be enough?… Pitched against such a fast and athletic Salsa, we had to hope that technique would see us through. We waltzed as if it was our last. The Judges’ feedback rang in our ears as we focused on phrasing, balance and footwork. We followed the natural rise and fall of Puccini’s beautiful melody, driving through the spins to build momentum and lift the dance …it all seemed to click into place. We had done all we could. But so too had Anita and Gleb. 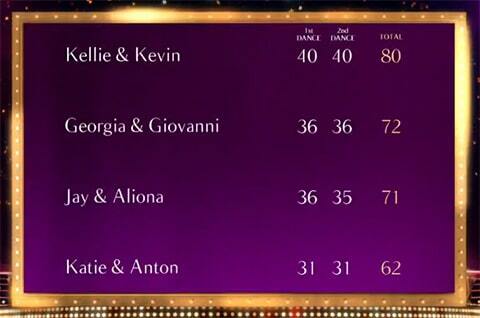 It all came down to the Judges opinions: Craig saved Anita, but Darcey saved us… then Bruno saved Anita… meaning it all hinged on Len’s vote. And we can only presume that technique ultimately won out, as Len miraculously saved us! We were through!… To the Grand Final!!!! It was a incredibly bitter-sweet moment though, as we had to say goodbye to Anita & Gleb – a fantastic partnership with some mesmerising performances under their belts. At this stage of the competition with Judges looking for mistakes in order to separate the couples, simply having the wrong dance in a crucial week can spell one’s downfall, and I believe we were lucky with our Waltz. 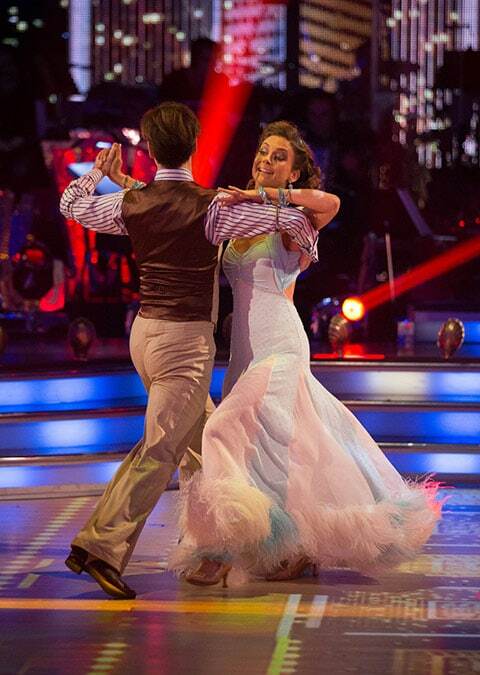 Anita and Gleb have been wonderful competitors, and I truly hope Anita keeps up the dancing – she’s a born natural! 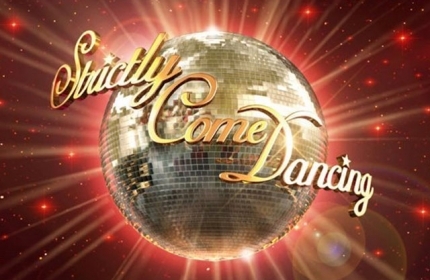 And so, the Grand Final of Strictly Come Dancing 2015 beckons… and Katie and I are in it!!! It’s been a long time coming, and I am beyond ecstatic – Katie too! I’m as proud as can be of her – she’s done so very well, working tirelessly each week to give her all to each dance and this just goes to show that hard work and dedication really does pay off!… Dreams can come true!! 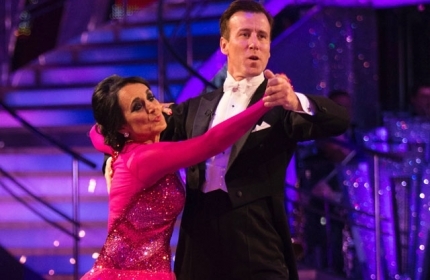 Being in the Grand Final of course means… Showdance …my first Strictly Showdance, ever! As Katie said on It Takes Two, I’ve been cramming 13 series’ worth of choreography into one and a half minutes of ‘O Fortuna’. We’ve had a very busy week as a result, and it’s going to be a belter of a Saturday night… just you wait and see! My wonderful professional partner, Erin Boag, will be live-blogging the final over on bt.com, so you can follow her expert opinion throughout the evening at this link. Once again, and as always, a huge Thank You for your votes. Don’t let them stop now though: the result on Saturday is purely down to the public votes so every last one will count. I can hardly believe it… the Glitterball Trophy is at last within reach! Week eleven… the quarter finals… dancing in December… who knew?! 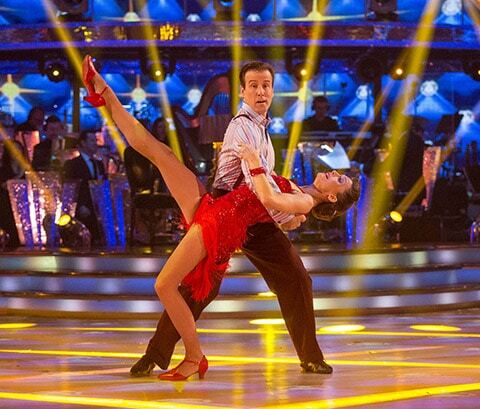 This series of Strictly has really taken a turn, and I am simply overjoyed to still be dancing each weekend! All credit where it’s due of course: Katie has proven to be the most wonderful, and crucially, talented partner – and of course, our fans and the voting public have helped keep us in each week (we all know how the leaderboard can turn on its head!). Truly a team effort all round! So, after the rigours of the week 10 where we had two dances to perfect, you’d be forgiven for thinking we could take it a bit easier… not so! Everything is ramping up week-on-week, and this was no exception. We had the most marvellous theme to work with: ‘Musicals Week’, and as production levels went through the roof, performance levels had to, likewise! ‘Cabaret’ was our musical, and we were to dance a Foxtrot to the wonderful emotive ballad, ‘Maybe This Time’ – perfect choice, on so many levels! Hair, make-up and costumes did another inspired job on Katie, transforming her into Strictly’s own Liza Minnelli as she emerged through the silvery curtain at the top of the number, stepping onto the stage as though channeling the fabulous character, Sally Bowles. We were at once in early 30s Berlin with the studio transformed into the infamous Kit Kat Klub… Welcome to the Cabaret! Katie set the scene with a confident introduction section, starting with a wonderful swaying move with our backing dancers before descending the steps to the dancefloor where she gestured over to me. Resistance was futile, of course, and we took each other in hold and thence to the floor. What followed was, for me, a triumph. The foxtrot as you may well know, is my favourite of all the dances and that made this week’s performance all the more special. Katie had such grace, such style, such sophistication, such long flowing moves as we covered the floor. The promenades, turns, her kicks, and the pivots – the choreography and drama building with each key change in the music. Performing it felt like one of those numbers where everything comes together in a way you can’t predict but can only hope for, and it creates a ‘moment’ between you and the audience. I was Cliff Bradshaw to her Sally Bowles. The finale had Katie return to the stage, recreating that iconic pose on the chair whilst the audience rose to their feet. Tremendous! The judges, I am thrilled to say, loved it too! Len said the intro was a bit long, but worth the wait… and then complimented Katie on “fabulous movement, beautiful lines… a very, very accomplished performance.” Bruno compared Katie to a classic luxury sports car, “trixie but under expert guidance able to give a fantastic ride. Beautiful. Once you started moving: stunning – it was a beautiful dance.” Craig, wait for it, said “It looked very good,” and he even said he “loved the choreography,” ending with “I thought it was really, really lovely.” Hurrah!! Darcey summed it up by saying “Katie, that’s exactly what we want from you – the confidence you oozed, it was brilliant.” My sentiments exactly! The scores cemented my delight – an eight from Craig, and nines each from Len, Darcey and Bruno. Nines! Three of ’em… getting to be a regular occurrence! 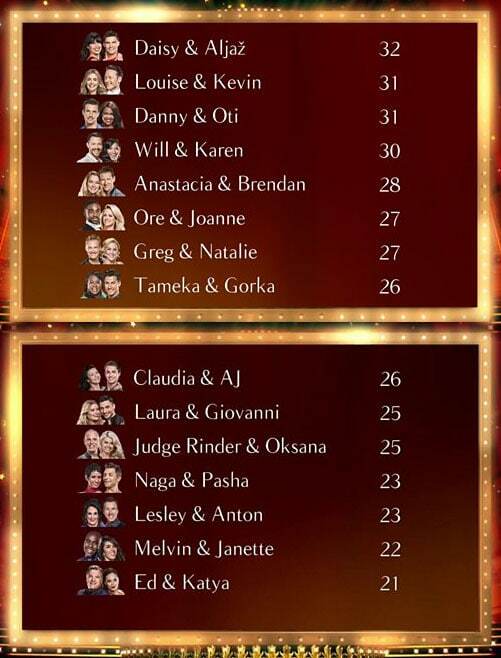 We totted up a grand score of 35 – matching that awarded our American Smooth in week 9, and still my highest ever on Strictly. We were beside ourselves! By the end of the night, we placed 4th out of six on the leaderboard. We knew that everything could change with the viewers’ votes, but I think given our reaction on the Results Show, you could appreciate just how surprised and delighted we were to make it through. Thank you all so very much for your votes and continued support… it’s keeping us in the show! 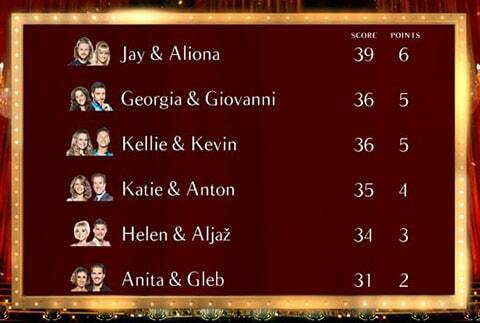 There was a bigger surprise to come: the dance-off pitched Helen & Aljaz against Georgia & Giovanni who had placed second on the leaderboard. This was very unexpected, and served to drive home to us all how quickly our place on the show could be lost. Both couples danced incredibly well, yet again, and I don’t envy the judges having to make such a difficult decision. They saved Georgia & Giovanni and so we all bade a moving farewell to lovely Helen & Aljaz after their epic ‘Les Mis’ number. 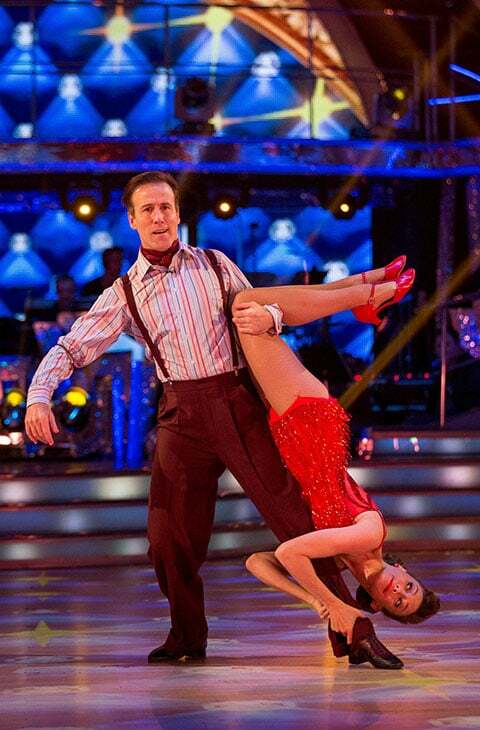 None of us expected that, and Helen is very much missed already as our Strictly family gets ever smaller. I can’t quite believe I’m saying this, but we’re all set for week 12… the Semi Finals!! The Semi Finals!!! We have two dances to perform this weekend: a Waltz, and the Charleston. Something of a polar combination, but a great way to showcase Katie’s growing versatility and showmanship. We’ve got some wonderful music to dance to, too, so we’re both looking forward to a very exciting weekend! Hats off to you all, my loves, and see you on Saturday!